I have lived in Costa Rica for almost 34 years. I love this country, with its wonderful natural beauty and the friendliness of its people. My love for it, however, has grown deeper and wider the last few years. Why? Because I have returned to riding a motorcycle here, after 24 years of not doing so! Riding in Costa Rica takes me to different worlds within a few hours. It is never boring, always fun, and most definitely awesome! Trying to decide which are my favorite routes is quite challenging. Each is unique and splendid in its own way, and this is what makes riding here so special. The views are majestic every way you turn, yet each area has its own special feel, colors, intoxicating scents, and interesting roads. So, to keep it simple, I will mention four routes (of many!). A route is a loop I take to go one way and return another. In either direction, these loops offer amazing vistas! Puriscal (via Rt. 137) to Atenas (via Route 3). Turrialba (via 239 Pacayas/Santa Cruz), coming back through Route 10 (Juan Viñas). Vara Blanca (via Route 126), coming back through Zarcero (or even Bajos el Toro). Any of the “Los Santos” areas, but especially Route 2 to Santa Maria de Dota, returning via Route 209 through Palmichal and Ciudad Colon. The Puriscal/Atenas loop has wide, BIG, breathtaking views: mountain ranges on the left, and on the right the valley and the distant volcanoes (Poás and Barva). The road is perfectly paved with easy curves, and as you wind your way up the Aguacate (Route 3) towards Atenas, you can stop at Casita del Cafe to enjoy another fantastic view. 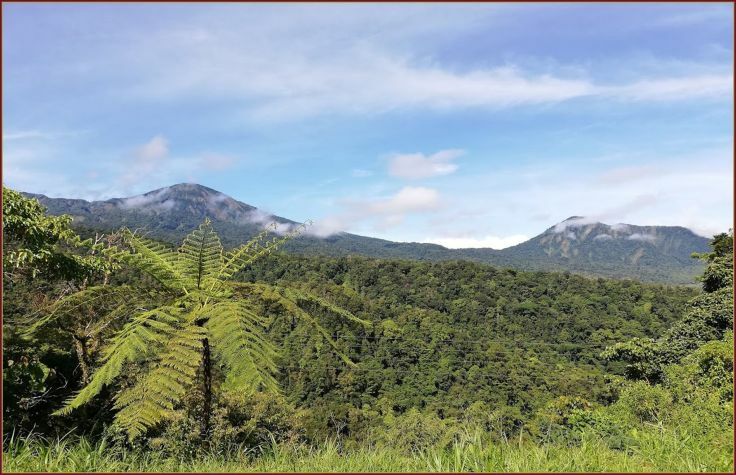 Route 239 – Pacayas/Santa Cruz to Turrialba takes you through the agricultural heartland of Costa Rica, with beautiful patches of farmland all around and below you. 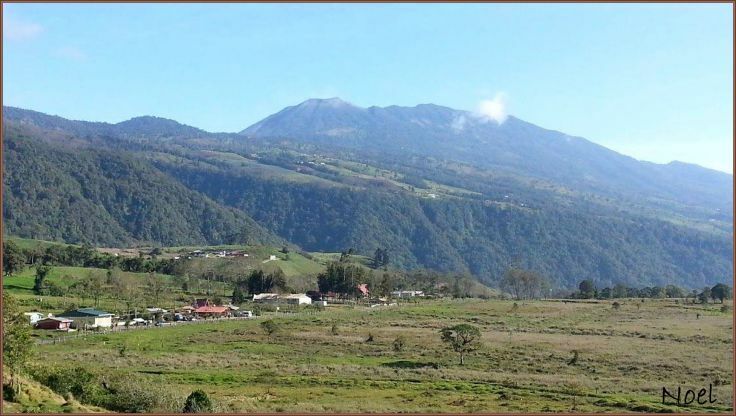 The mountain ranges you see when approaching Turrialba from the heights of Santa Cruz will astound you. And the lovely sugar cane fields near Juan Viñas are like a piece of lost time. In Turrialba, I suggest you take a detour to visit the restaurant Turrialtico, to enjoy the view of the Angostura lake below. Route 126 to Vara Blanca is what I jokingly call “Jurassic Park,” as you ride along steep ridges that seem from another age. Here, you will pass many waterfalls, including the famous La Paz Waterfall. My recommended stop on this route is the little shack on the right called “Mirador de Cinchona.” It has lots of birds feasting on bananas that the restaurant puts out, plus a view of yet another tall waterfall. It’s also satisfying to support this obviously-local business. You drive through the long roads of San Carlos and the valley, following winding roads up to Zarcero, another agricultural part of the country also known for its dairy products. Both Vara Blanca and Zarcero can be cold and foggy, but this adds to the mystic feel of it all. If you are lucky, however, you can go in the summer when the views are clear and just fill you with pure joy. Finally, the trip through Cerro de la Muerte (Mountain of Death — Route 2) to Santa Maria de Dota, looping back through the other towns of the saints to come out in Ciudad Colon, is simply like riding through a wonderland of coffee fields — Miles and miles of coffee plantations on mountain range after mountain range. Spectacular! Once past this, you ride through quaint little mountain towns like Palmichal all the way to Ciudad Colon and back to the central valley. You have to be brave enough to ride a motorcycle here. Other drivers can be quite terrifying, making up their own rules of the road – especially young motorcyclists, who pass you by on all sides, at all speeds! Yikes! Breathe through these hard parts, say the Serenity Prayer, and keep your eyes on the road and hands upon the wheel, as the Doors sing. Soon, you will enter magical landscapes, and all that stress will slip away. My happiness has reached new heights as I explore the beauties of this small, peaceful country in Central America. I expect the unexpected, prepare for changes in weather while enjoying the changes in vistas, and simply surrender to the unfolding wonder of riding in Costa Rica! Here, the journey IS the destination. Suzanne Noel came to Costa Rica in 1985 as a Peace Corps Volunteer in the South Caribbean of Costa Rica. She decided to stay in her beloved Limón and opened up the first souvenir shop in Puerto Viejo, called Color Caribe. In 1998, she moved to the Central Valley for her son’s education, studied Focusing, and became a Focusing trainer in 2003. She has written several books and enjoys dipping into different kinds of art, including poetry, driftwood and paper collages, seed jewelry, and illustration-style watercolor art. Her favorite pastime is riding in Costa Rica. 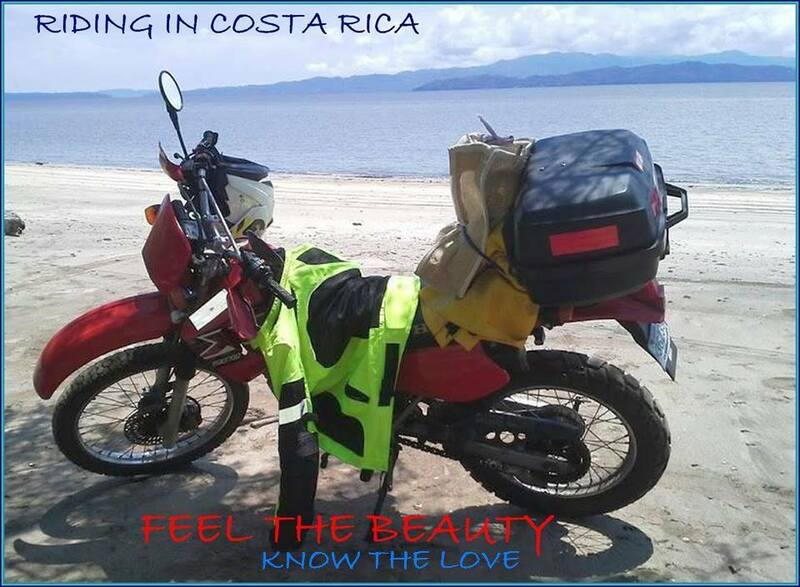 Feel free to browse through my blog: Riding In Costa Rica: Feel the Beauty, Know the Love, Live the Power. 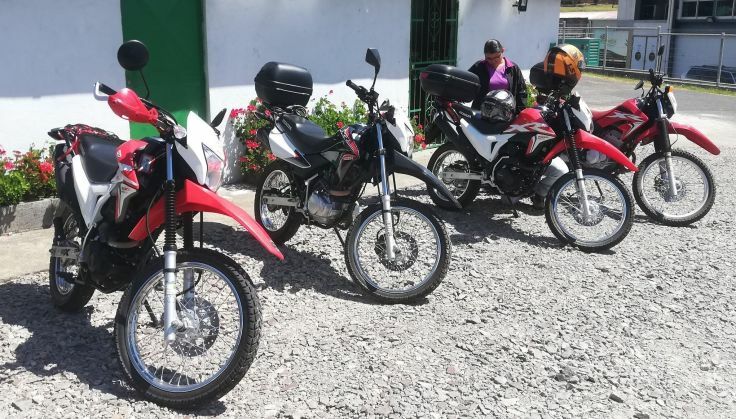 Here you can see photographs of my rides and decide which route you yourself may want to take to FEEL the Beauty of Costa Rica and increase your own happiness!